of rendering. 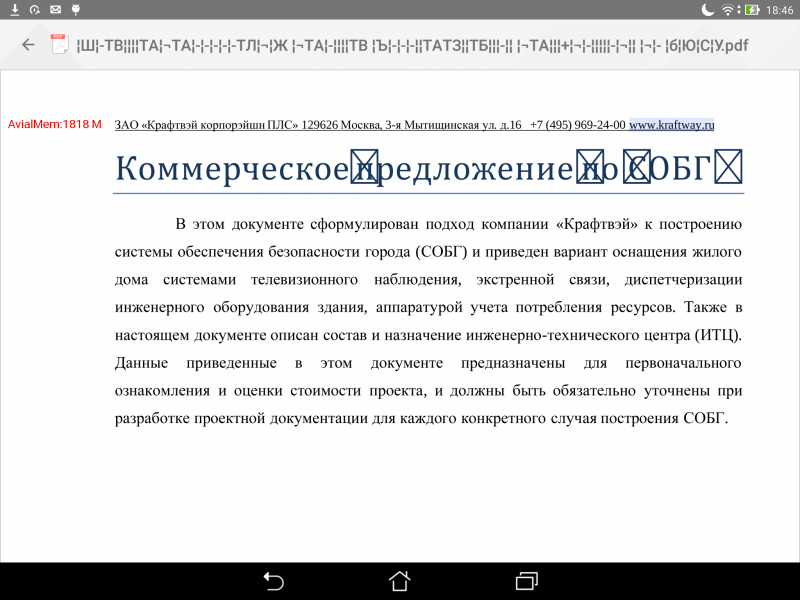 You can see some square symbols which were added to pdf document. Note: the issue is reproducible only on devices with X86 architecture. Could you help me with this issue? We have sent your issue to our developers, we will get back to you as soon as possible. We are still trying to understand the cause of this issue, the problem is we wasn't able to reproduce it on the simulator of x86..and on the devices we have it renders correctly. The issue is because of the fallback font, that is not complete (does not contain all the characters).